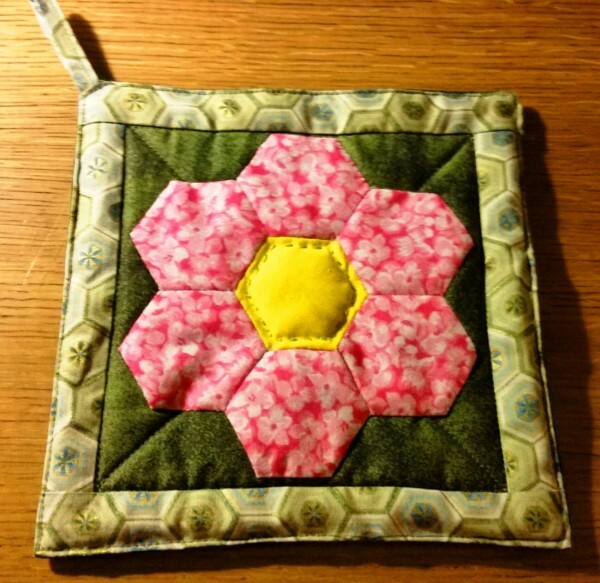 Learn the basics of English Paper Piecing: how to use templates, how to stabilize the pieces with paper, and how to join pieces together. 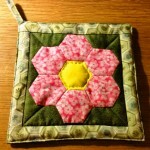 Combine your pieces and create a potholder or mug mat that you can use right away. Please bring a small pair of sharp fabric/embroidery scissors and a thimble if you prefer to work with one. All other supplies included in the materials kit; $5 materials fee paid to the instructor at class. ONLINE registration closes at noon on Thurs., May 12. Please call 304-258-2300 to register after this time.